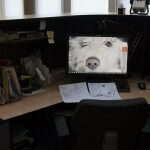 Everyone has a pet peeve when it comes to the workplace, and these are usually exacerbated when space is tight and everyone is working in each other’s pockets. A prime peeve is a workstation being left dirty when the next employee arrives for their shift. Smeary, fingerprinted monitor screens, crumb infested keyboards, full trash cans and personal belongings or litter can be triggers for an office meltdown. Panel extenders can keep some of the annoyance of the worker next door away, but what about when you share the same cubicle space with someone else on a flex shift? Having a clearly defined set of workplace rules that delineate what is expected can help prevent conflict. While it may seem absurd to have to remind fully grown women and men to clean up after themselves, it’s a sad fact of life that not everyone knows how to do so. If you have a mature office culture, a simply reminder: “Leave your workspace as clean as you would like it to be when you return!” will suffice. If this isn’t sufficient, you may have to get specific: “Empty trash can, throw away litter, wipe down all surfaces, remove personal items”. What is your workplace peeve? Tell us about it!